I haven't posted a NOTD in a while but there seemed to be a demand for one after my haul on Wednesday, which you can find HERE. My thoughts in a nutshell: I'm loving Barry M's new collection! 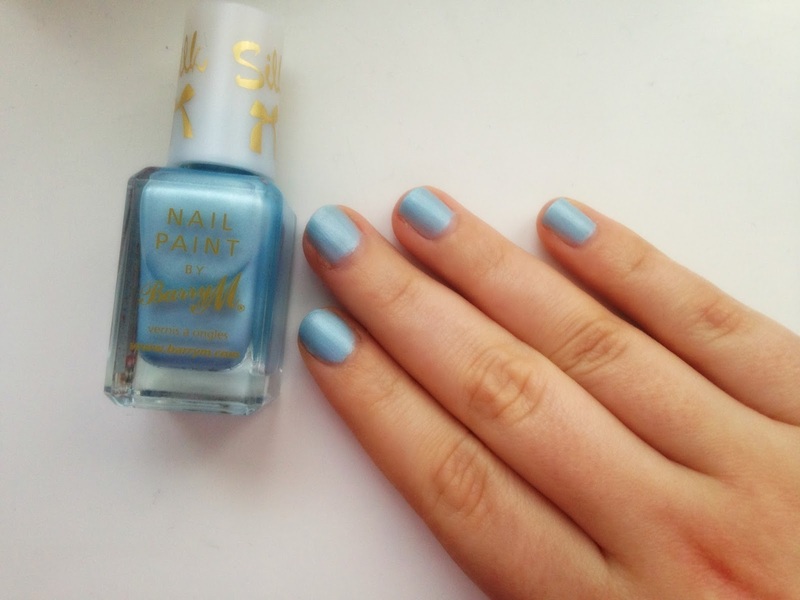 Barry M's website claims that the 'beautiful matte sheen gives nails a luxurious, chic finish.' All of its pastel shades are inspired by nature: Paint Pink, White Pearl, Brown Truffle, Green Meadow, Blue Mist and Purple Heather. The new polishes were released in Boots and Superdrug this week, hot on the heels of the matte nail paint collection. These are aimed for a Springtime look rather than the Wintery matte finish. It takes a few coats of this for it to appear truly matte but it's worth the hassle - the nail polish looks gorgeous and really gives off a silky finish. The colour is a lot lighter in real life than it is in this image (I was photographing near the window). Retailing at £3.99, I'd recommend stocking up on these before Spring arrives! I'm already eyeing up Paint Pink and Brown Truffle. What colours have you tried?